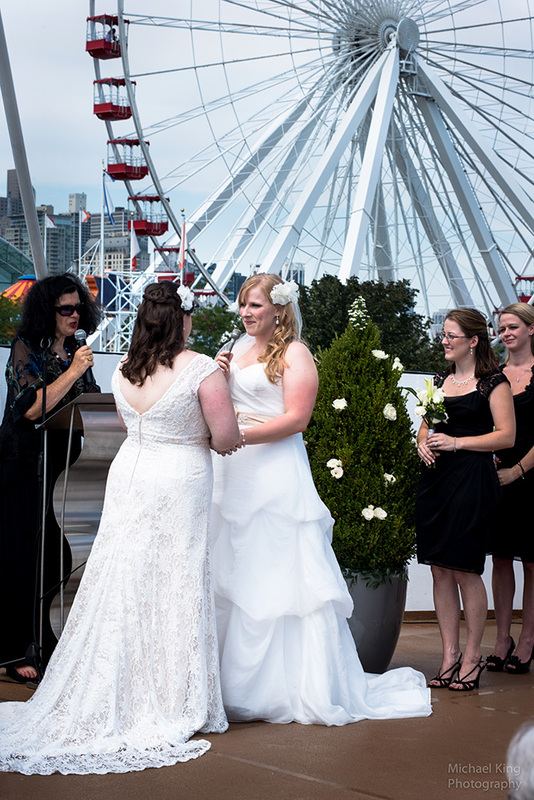 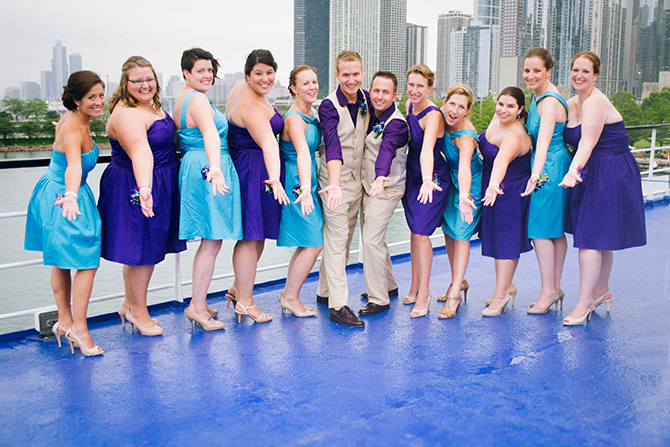 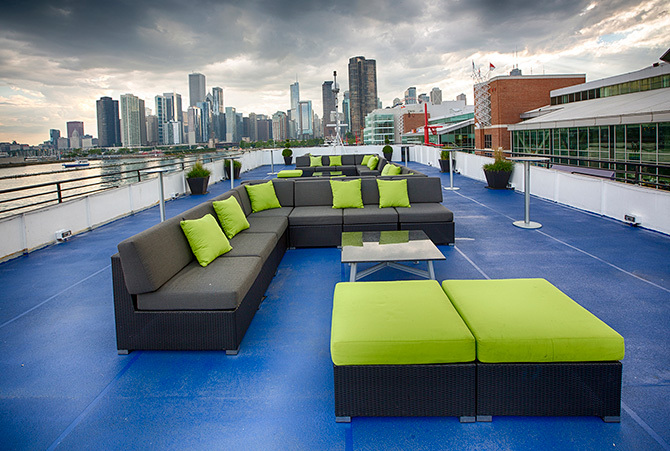 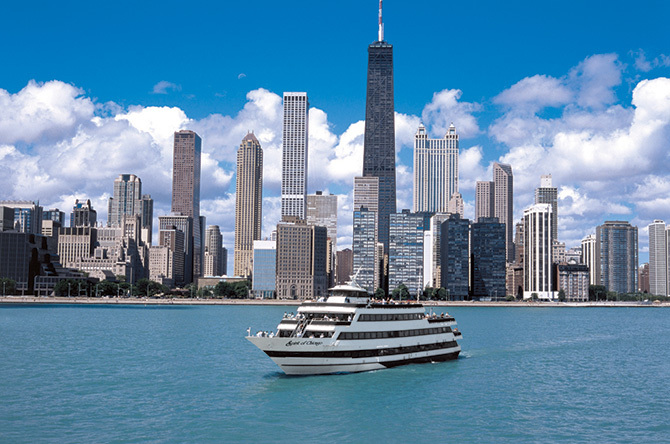 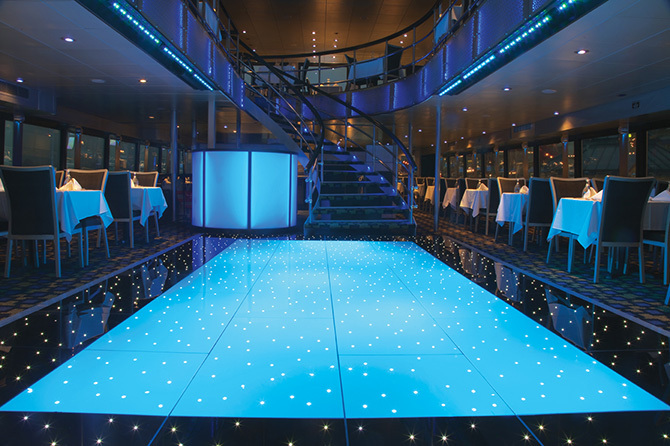 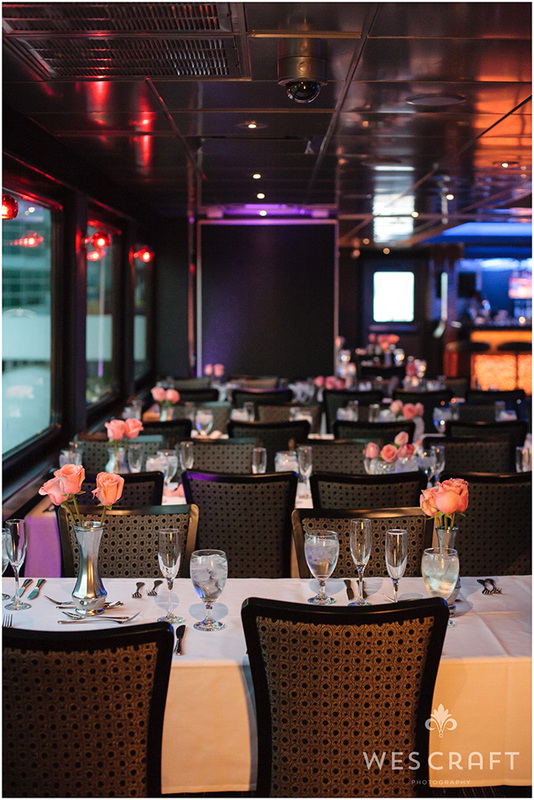 Host your wedding celebration aboard the stunning Odyssey and let the city of Chicago become your backdrop. 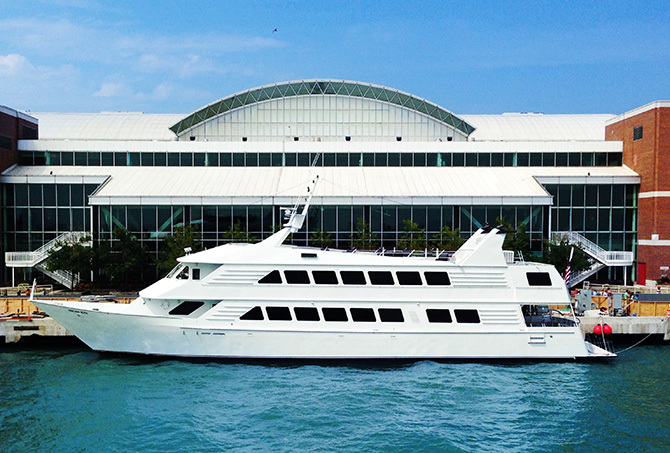 Departing from Navy Pier, this elegant vessel will take you and your guests on a dynamic escape perfect for your unique celebration . 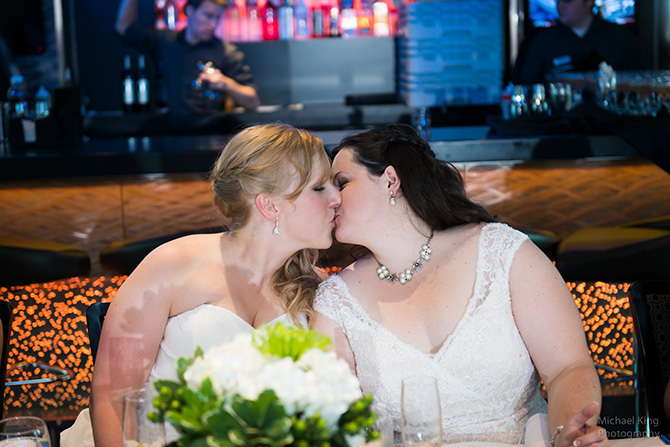 From an exquisite wedding ceremony and reception to an elegant bridal shower, rehearsal dinner, engagement party or post-wedding brunch, Odyssey will help you make unforgettable memories with your most beloved friends and family. 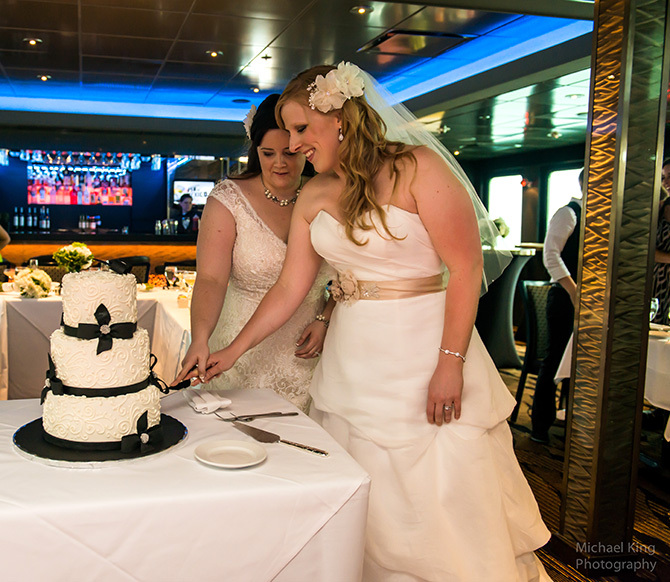 When planning your wedding weekend, consider asking about Odyssey’s sister ships to create the perfect tone for your ideal celebration. 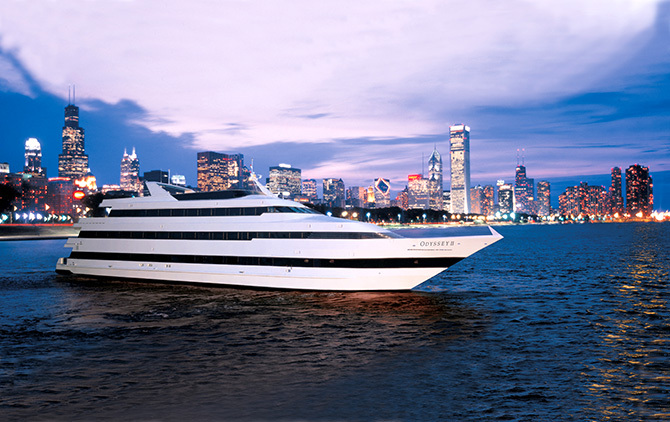 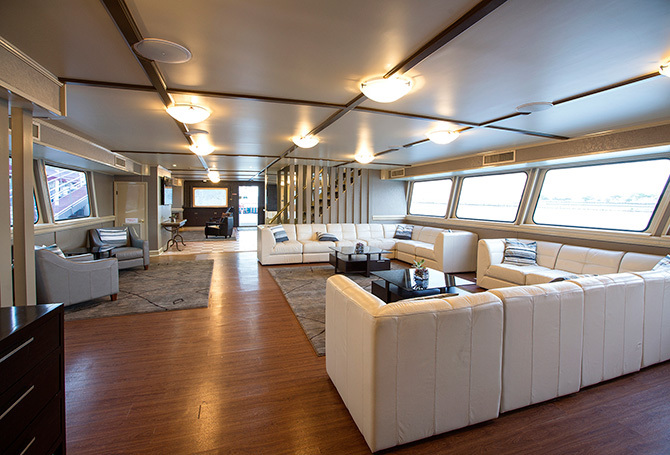 For the ultimate luxury in an intimate environment, consider hosting an exclusive event aboard private yacht, Chicago Elite. 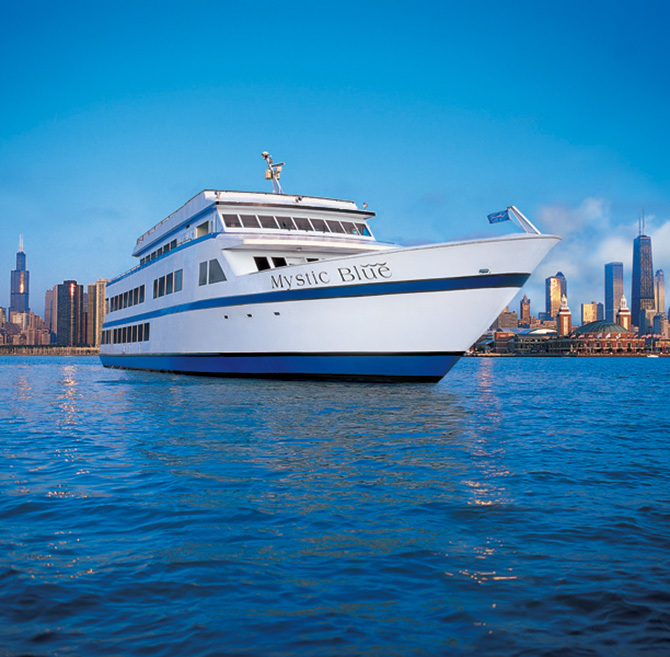 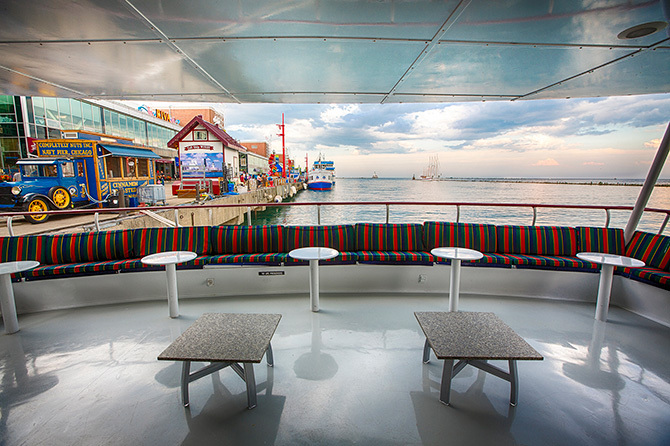 Or for a more causal, fun cruise, consider Spirit of Chicago or Mystic Blue. 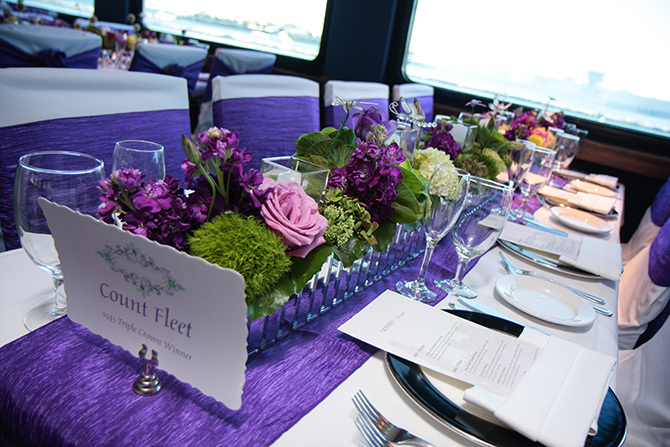 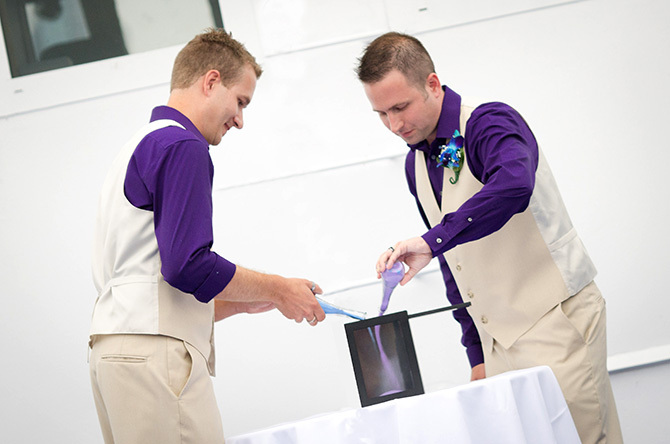 We think your big day is a big deal, so our wedding specialists will happily work with you to personalize your event and bring your vision to life. 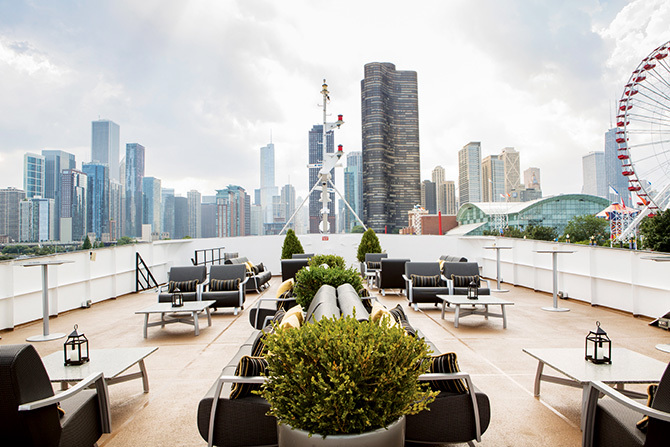 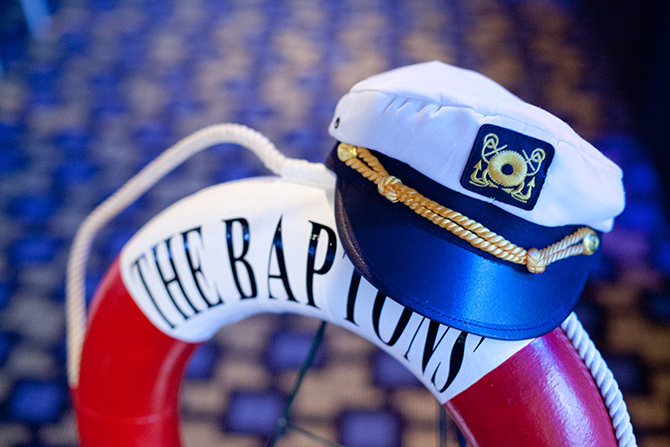 Our crew will handle every detail so day-of you can just relax and enjoy every moment. 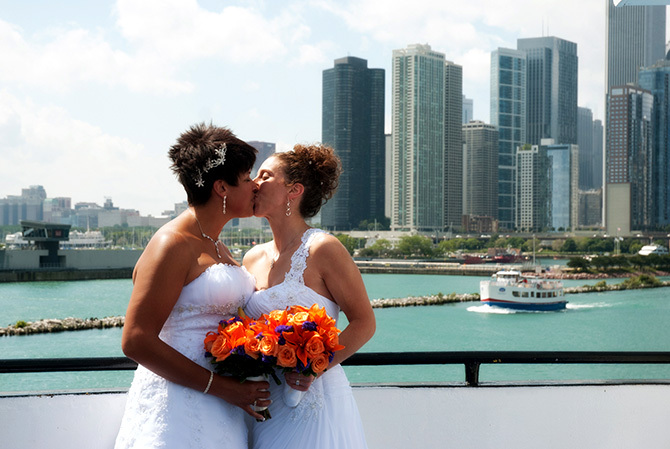 Just picture standing next to your soul mate, taking in the Chicago skyline surrounded by your loved ones. 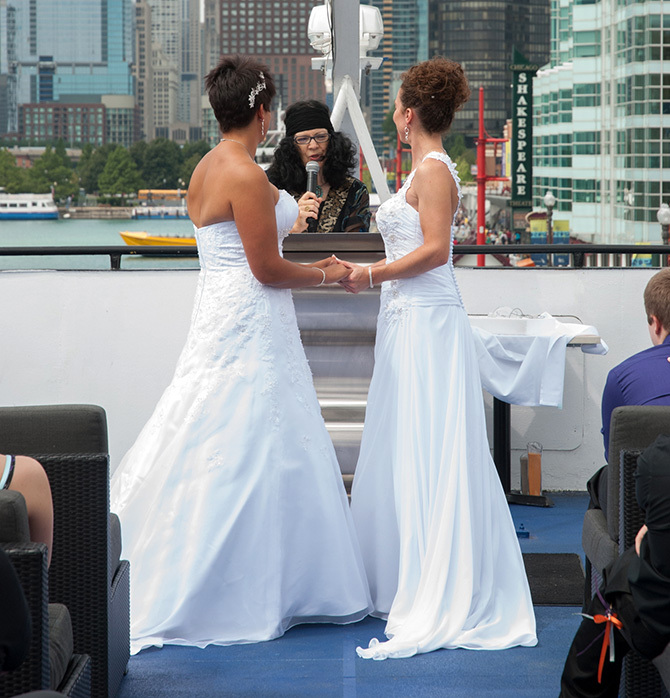 For a love that’s as unique as yours don’t settle with ordinary—make memories you’ll cherish forever with an event out on the water.